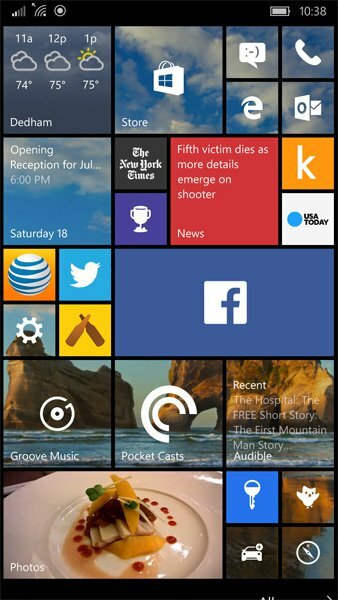 Tech giant Microsoft has improved the customization options with Windows 10 Mobile. Following are 6 ways that can help you customize the Start screen on your Windows 10 phone. Let’s check out now! In Colors, there are two options: Choose your mode and Choose your accent color. You can choose light or dark mode and pick an accent color from a grid of 49 (or more, depending on your phone maker) accent colors. You can customize the lock screen with images and app notifications on your Windows 10 phone. To do this, you launch Settings, choose Personalization and then select Lock screen. 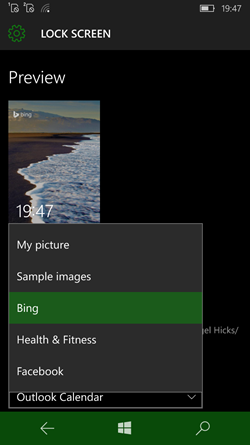 Here you can choose pictures from Pictures, Bing, Health and Fitness app or Facebook. The image on the lock screen is populated based on your selection. The image on the lock screen of your Windows 10 phone will be populated based on your selection. You can pin any Windows 10 mobile Settings to Start Menu by just opening settings, pressing and holding any of the option. Then you will see the option to pin to start. If you want to unpin it, you just need to press and hold the icon and hit the delete button at the top. You can resize tiles as needed. Tiles support three sizes, including small, medium and wide. You can start customization by tapping and holding on any tile. There are 3 types of background for you to choose and use, including None, Tile picture, or Full screen picture. You can change the background image via Start settings as well as via apps. You can choose which type of background to use on Windows 10 mobile: None, Tile picture, or Full screen picture. There are 4 or 5 quick toggles (based on the screen size of your smartphone) in the notification center on Windows 10 Mobile. You can customize these quick toggles by heading to System and choosing Notification and Access. Here you can tap on the icon and change the quick toggles.